Set of 5 hand sewn felt Christmas tree ornaments decorated with beads and paillettes. This set would make a great gift. 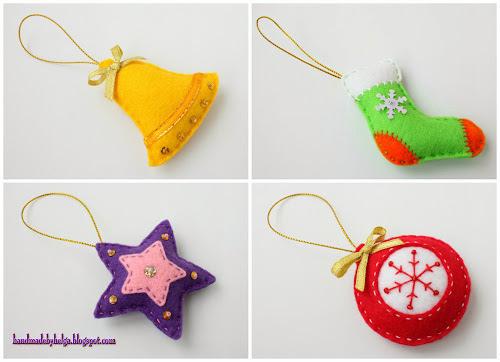 These would look great on my tree! Will they be available on your Etsy site soon? Hello! Thanks for your question. Unfortunately I can make felt crafts in the next year only.